The vertical drop from summit to base is 4984 ft. The average difference in altitude between base and summit of Ski Resorts in Switzerland is 2890 ft. Most runs are therefore relatively long. The high point of the ski resort is located at an elevation of 9721 ft. Season starts on Nov 2 and ends on May 19 (198 days). Average season duration in Switzerland is 112 days. Average snow depth during the season (Nov 2 to May 19) is 134 " at summit elevation and 13 " at base elevation. Snow coverage is usually best during March, offering an average snow depth of 175 " at summit elevation and 19 " at the base. Andermatt-Sedrun features 76 sunny days on average per season. The average for all ski Resorts in Switzerland is 87 sunny days. April is the sunniest month with an average of 15 sunny days. 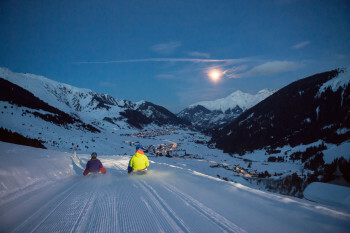 The 120 kilometres of runs at the SkiArena Andermatt Sedrun extend far up the sides of Switzerland’s Urserental Valley. Skiers and snowboarders of all abilities will find a wide range of enjoyable runs here for carving to their heart’s content. Beginners can look forward to 28 kilometres of simple terrain across the ski area, while intermediate skiers can explore 57 kilometres of red-marked runs. True experts will delight at no less than 40 kilometres of black-marked trails to get their teeth into. 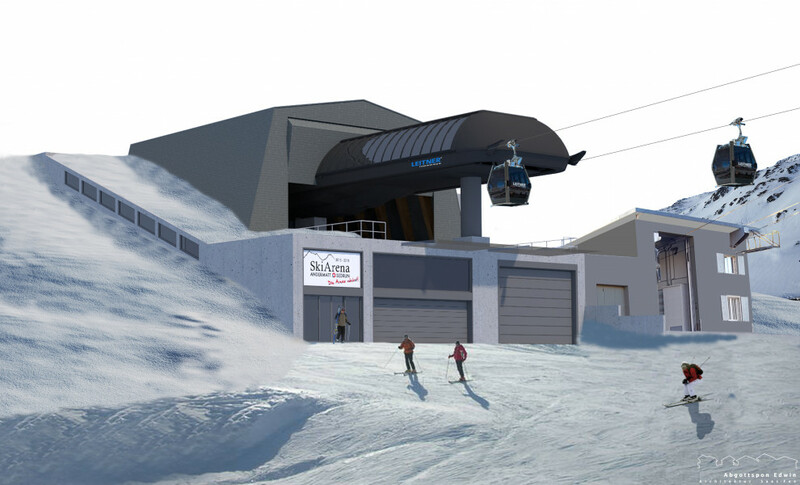 No less than 24 lifts spread across the ski area are on hand to carry skiers and snowboarders up the mountain. 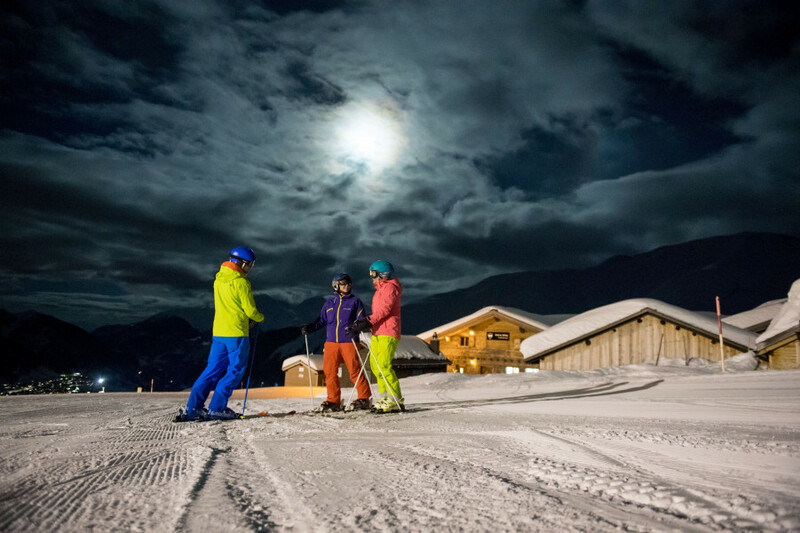 The weekly SnowNight Sedrun is a fixture every Thursday, offering skiers and snowboarders the chance to take to the Dieni – Milez piste after the sun sets. And if that’s not enough, the sled run is also flood-lit and the restaurants on the mountain are open late into the evening. The SkiArena is a great destination for youngsters. Three children’s parks cater to the youngest guests, while teams from the local ski schools are well versed at helping kids to make a great start on the snow. The Valtgeva snow park is perfectly equipped with a beginner’s garden, tubing run, magic carpet lift and much more besides. 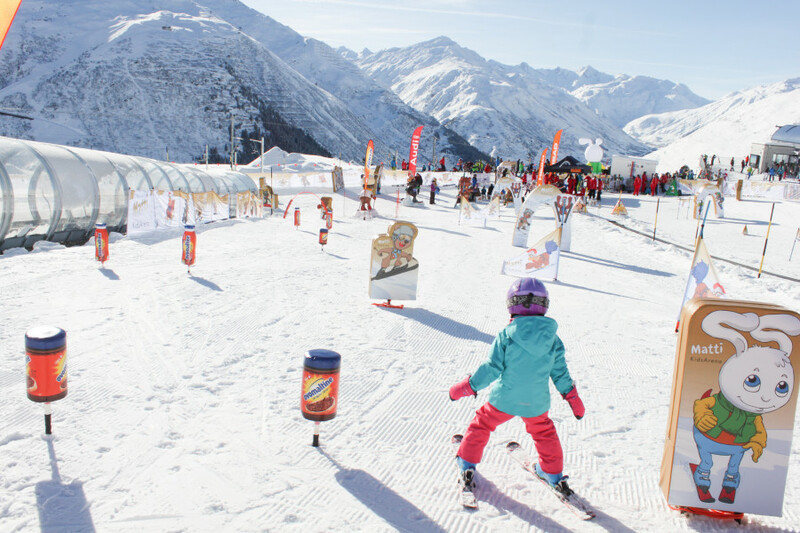 Meanwhile, the Kinderparadies Realp – complete with children’s lift and easy slope – is also an ideal place for making your first turns on two skis. And if energy levels start to dwindle, youngsters can refuel in their very own eatery – the Kinderrestaurant Valtgeva. The terrain park and CrossPark Teiga Gronda as well as G-Park Gemsstock are a paradise for freestyle fans. Located on a sunny slope above the 2,000 m mark, the terrain park offers up beautifully groomed features including jumps, boxes and rails as well as a 100-meter half-pipe. The nearby Chill-Lounge is the perfect place to relax between sessions, while the 800 m ski and boardercross course provides a real adrenaline rush for the daring and proficient. The course’s three lines, which vary in difficulty, take in challenging waves, tables, jumps and banked curves. 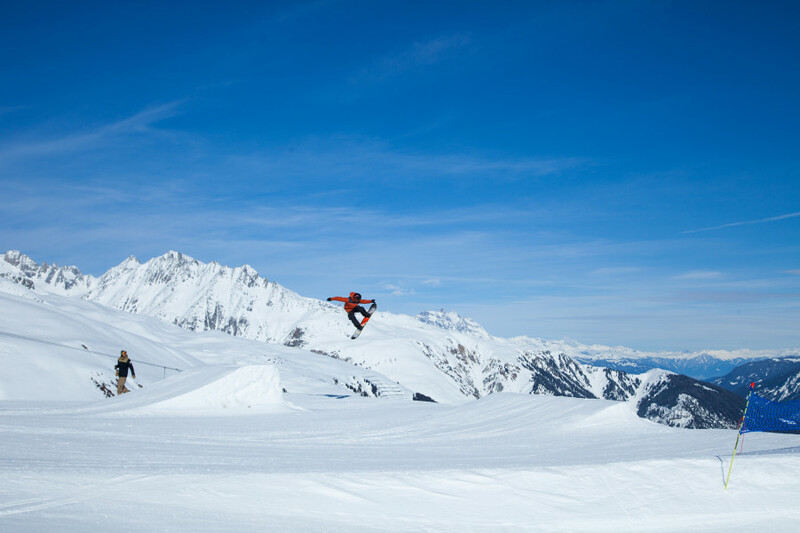 The G-Park am Gemsstock offers up natural features as well as demanding jumps and rails, all accompanied by the freshest sounds in the G-Park-Lounge. The Gotthart region is also a firm favourite with freeride fans and the Gemsstock is an ideal area for powder hounds to check out. You certainly won’t go hungry any time soon here, with mountain restaurants and lodges scattered throughout the region. The undoubted place to be in the heart of the Sedrun ski area is Bergrestaurant Milez, while Restaurant Alpsu is the best option for a cosy meal and a break on the Oberalppass. Specialities at the latter include Valtellina favourites like Pizzoccheri, Malfatti and Manfrigole. In contrast, you can opt for some Grison regional dishes and typical mountain fare in the Restaurant Planatsch, while down-to-earth Swiss cuisine is up for grabs at Gasthaus Piz Calmot. And if you want to treat yourself to something slightly more exclusive and unusual, then look no further than one of the three Scandinavian Grillkotas in the ski area. Head over to the Gurschenbar or Stöcklibar on the Gütsch if you are in the hunt for lighter refreshment. The toughest slope in the entire ski area is the demanding Bernhard-Russi-Run. Named after former ski pro Bernhard Russi, the run descends steeply from the panoramic views of Gemsstock peak down to the Gurschen middle station. On the 4.3 km trail, experts need all their wits about them as they descend 950 vertical meters down the mountain. Away from the pistes, there is plenty more winter fun to discover in Urserntal. Almost 140 kilometres of immaculate trails await cross-country skiers in Sedrun, Urserntal and Goms. On top of that, around 60 kilometres of winter hiking routes offer up a gentler way to explore the snowbound landscape. However, surely the best way to discover the backcountry is with a pair of snowshoes, and visitors won’t be disappointed with the trails available here either. The various sled runs and snowtubing courses are also guaranteed to put a smile on your face and get pulses racing. If you’re looking to unwind away from the mountain, the Wellness Oase in Bad Sedrun is a great place to get away from it all. 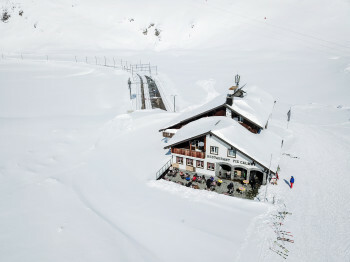 The Himalaya Schneebar between Nätschen and Andermatt comes highly recommended for fantastic après-ski on the mountain – think warm sunshine and cool drinks. At the Dieni valley station, the Capricorn is your first port of call for rounding out a great day on the mountain, with DJs and a lively atmosphere well into the early hours. If great food is your thing, we recommend the restaurant at the River House in Andermatt. The American head chef Austin Rockeman gives his creativity free rein here, with delicious fusions of traditional Swiss food with contemporary North American cooking. Fine wines are expertly matched to the regionally-sourced food. In addition, gourmets shouldn’t miss the restaurant in the Chedi in Andermatt. In Sedrun, the restaurant at the Hotel Posta is also warmly recommended for foodies. 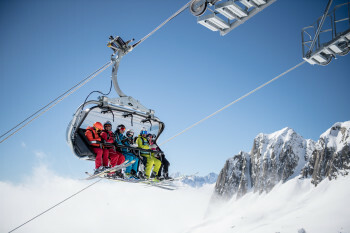 The ski area’s central location in Urserntal makes it easily accessible from all directions. Andermatt is one to two hours’ travel from Zurich or Lugano. By car, exit the motorway towards Göschenen and then follow the road until you reach Andermatt. There is plenty of parking available locally. If you are travelling to Sedrun, take the motorway via Chur/Ilanz and then on towards Disentis, Oberalppass. The ski area is located to the right, towards Rueras. By train, take the Gotthardschnellzug service to Göschenen and then the Matterhorn Gotthard Bahn to Disentis Sedrun. This also connects to the SBB network and is a fast way of getting to Andermatt. Other rail connections are also available, including from Zurich or Chur. A free ski bus also operates locally. 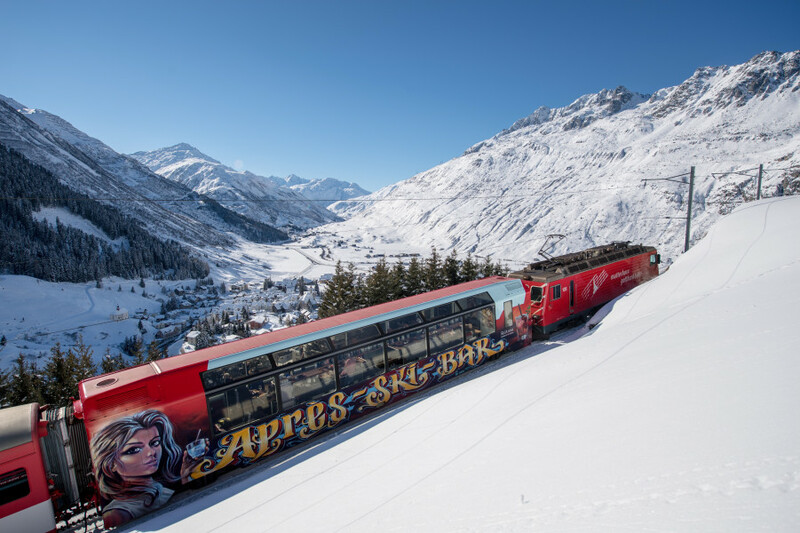 The free SnowNight-Bus between Disentis/Sedrun and Dieni also runs every Thursday. 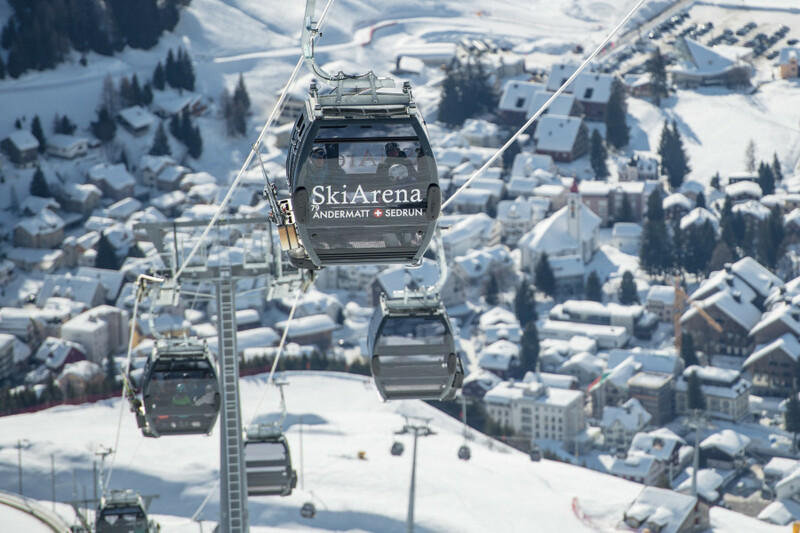 The nearest airport is in Kloten, around 175 kilometres from the ski area.